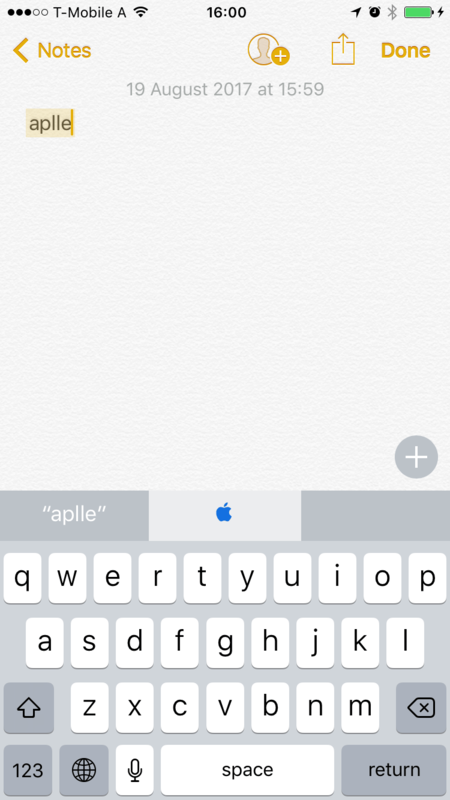 Want to add the Apple logo (from the back of your iPhone) into text you are typing on your iPhone? Find out here how make yourself an Apple logo emoji and to insert the Apple symbol () on iPhone and iPad and use it like regular text. 219 of them have briefly seen the Apple logo, the rest IBM’s stripes. Their task now is to come up with as many uses for a brick as possible. The IBM group found some 6 uses on average, those who had seen the Apple logo more than 7—and those ideas were rated higher by two judges (experts, presumably, in brick use). This experiment was conducted not long after Apple’s Think Different campaign, and the study’s authors alluded to a connection. Let’s test it and insert the Apple logo anywhere; prepare for creative use of slim and handy bricks of glass! Tap into the input field in the following line, then tap and hold the Apple symbol to make sure it is highlighted. Select Copy from the new menu that has appeared. Position the text cursor in the document where you want the Apple symbol to appear. Important: If you add the Apple logo to text you send to others, do keep in mind that it will only appear ok for people who use Apple products to view it; Windows or Android users, for instance, will typically see a broken or placeholder character. Tap and hold that position. Select Paste from the menu that has come up. If you enter the Apple symbol frequently, you can set up a shortcut for it. 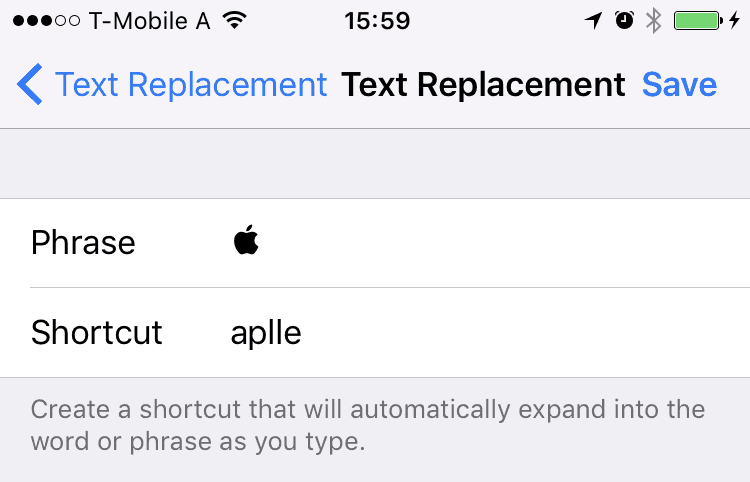 Make sure you have created a text replacement shortcut for the Apple logo. Make sure the text cursor is where you want to insert the Apple symbol. Type your shortcut key you set up for the logo. Let autocorrect replace the shortcut with the Apple symbol (enter space, for example). You can also select the symbol in the predictive input bar above the keyboard, if you can see the bar. Select and copy the Apple logo above. Go to the General | Keyboard | Text Replacement category. Enter a shortcut that will be replaced with the Apple symbol under Shortcut. This is necessary to access the logo. A shortcut like “aplle” might work.